This October, The Niello Company will celebrate the 10th Anniversary of the Niello Concours at Serrano by exhibiting some of the most historic vehicles in the world, as well as introduce an astonishing selection of modern luxury automobiles. This event will feature the Marque of Rolls-Royce Motor Cars, and will celebrate 50 years of Lamborghini and the Porsche 911. Join us as we celebrate ten years of Concours excellence on October 6th, 2013. Advance tickets will be available for purchase in early September at all Niello dealerships, or online using TicketWeb. Ticket information can also be found on the official Niello Concours at Serrano webpage. We hope to see you there. This event in beautiful El Dorado Hills is one you won’t want to miss. Tickets will be $35.00 in advance and $45.00 at the gate. Ticket includes parking, shuttle, and an event program. Children 12 and under are admitted at no charge with a paid adult. Tickets will no longer be available online after 3:00pm on October 5th, 2013, but will be available to purchase at the event on Sunday October 6th. The event is open to the public from 10:00am to 5:00pm. Click here for directions. If you are interested in submitting your motorcar for entry in the Niello Concours at Serrano, click here for the 2013 Entry Form. A portion of the net proceeds from the Niello Concours in Serrano weekend of activities will benefit The Concours Foundation. Left to right: Roger Niello, Richard Niello Sr., Rick Niello Jr.. Since 1921, The Niello Company has associated itself the most exceptional and distinctive automobiles, such as Pierce-Arrow, celebrated at last year’s event. After 92 years of automotive excellence, the company continues to seek out exceptional automobiles and present them in state-of-the-art dealerships. This year, we are delighted to celebrate the Marque of Porsche with the 50th anniversary of the Porsche 911. Niello Porsche in Rocklin is the longest owned Porsche dealership in the country, so we are more than thrilled to hold this honor. This is a pinnacle vehicle. As you walk the grounds on Sunday, make sure to stop by the patio area for an impressive display of the Porsche 911, then and now. * Follow Niello Concours at Serrano on Facebook, or if you would like to be on the mailing list to receive special Niello Concours at Serrano e-mail announcements and hot news updates, join the official Guestbook. The Niello Company recently hosted the 2013 Longevity Awards at the Sutter Club in downtown Sacramento. Founded in 1889, the Club has survived the Great Depression, both World Wars, and “Stands today as strong as it has ever been and looks to a future bright and as rich as its past.” (copyright 2013, Sutter Club). The phrase “Where history meets the present” is used to describe this organization. These are appropriate words considering this is where The Niello Company annually meets to recognize employment longevity. Along with the Sutter Club, The Niello Company today stands as strong as it has ever been, and also looks to a promising future. It is for this reason that longevity is appreciated in such highly regarded recognition each year. Longevity award recipients and their guests were invited to the Sutter Club for an exclusive cocktail reception. Along with Rick Niello, the General Managers for each of The Niello Company dealerships, and members of the Management Company, award recipients celebrating longevity in 5 year increments enjoyed fine food and drink as they mingled, shared stories, and otherwise enjoyed good company. This year, over 60 employees were recognized for longevity, ranging from 5, 10, 15, 20, 25 and even 35 years of employment. Keep in mind: this is an annual reception. Each year the list of award recipients changes. Each year those celebrating 5 years of employment or longer are recognized. Each year more and more employees are appreciated with such camaraderie for their dedication. With nearly 600 employed at The Niello Company, the list of long-term employment is astonishing. “We are in the people business,” Rick Niello is often heard saying. Not only is this true of our customers, but our employees as well. The award is a gold pin with the company logo and number of years engraved on the front, and below that two gems: rubies for 5 years of employment, sapphires for 10, and then emeralds and diamonds. This year, 42 employees were recognized for 5 years of continuous employment, 15 employees for 10 years, 3 employees for 15 years, 3 employees for 20 (Dave Bashaw of Niello MINI, Bradford Clough of BMW Sacramento, Gui Sabate of Niello Porsche), as well as an employee with 25 years (John Fay of BMW Sacramento) and 35 years (Rob Shaw of BMW Sacramento). This year alone, The Niello Company recognized 525 years of combined dedication. Did you notice the new look of niello.com? The Niello Company recently updated the core site with a complete redesign and some exciting new features. The first of these is a new vehicle inventory search, directly on the homepage (bottom right), allowing you to search all Niello dealerships for the perfect vehicle. Whether you’re after an Acura, Audi, BMW, FIAT, Infiniti, Jaguar, Land Rover, Maserati, MINI, Porsche, Volkswagen, or any other pre-owned vehicle offered by Niello dealerships, you can search for it in one simple place. Search by make, model, year, or even a price range to find the vehicle that is right for you. As one of the scrolling THINK Niello phrases on the new homepage states: “THINK great place to buy”. A new social media section (bottom left) will keep you up-to-date with all the Niello happenings. Here you can follow The Niello Company on Facebook, Twitter, YouTube, and another new outlet, The Niello Company Blog (you’re reading it now). An automated Twitter feed and listing of upcoming Niello events is right on the homepage as well. Also noteworthy is the addition of Niello FIAT, the newest brand in The Niello Company lineup. Not only did niello.com go through a complete makeover, but the Niello FIAT website as well: fiat.niello.com. Check out the new website to see the hottest trend in Italian motors, such as the sporty FIAT 500 Abarth and the impressive 4-door FIAT 500L. You can read more about the acquisition of FIAT in the earlier blog post, THINK Italian. Remember the THINK not so mini blog post a while back, introducing you to the new Niello MINI home at 3210 Auburn Boulevard opening later this year? To help celebrate this new adventure, the Niello MINI website was redesigned as well: mini.niello.com. The new site is much easier to use, and most importantly, more fun to navigate. One of the The Niello Company’s core values is “We embrace change.” Another is “We hold high expectations”. We embrace change willingly when it comes to new technologies to improve the car-buying experience for our customers. And we hold the highest of expectations when representing the vehicles we offer on the ever-changing Internet. Hopefully the new site will do just that. Before you go, The Niello Company would like to offer you a (somewhat embarrassing) glimpse at the evolution of niello.com over the years. Simply scroll down and we’ll take you all the way back to the beginning of niello.com: December 1996. How’s that for a blast through the past? Follow Ed Crane from KFBK News Radio (92.5FM / AM1530) as he tours The Niello Company dealerships on his journey to find the perfect drive in his video series The Perfect Drive – In search of the best cars money can buy. * Follow Ed Crane on Twitter @EdCrane1 or @ThePerfectDrive, or on Facebook at facebook.com/ThePerfectDrive. The 2013 Niello Company Employee Appreciation Party was recently held at the California State Fair at Cal Expo. Since the State Fair is a robust celebration of the State of California, its industries, agriculture and diversity of its people, this served as the perfect location to celebrate with all Niello employees and their families. The State Fair’s motto is “Food * Family * Fun”, the perfect environment for a magical night. With over a thousand in attendance this year, 2013 is now marked as the largest Niello Employee Appreciation Party to date. Niello dealerships closed at 2:00pm on Friday, July 19th, and employees were encouraged to enter the State Fair at their leisure anytime thereafter, with complimentary parking vouchers made available prior. Under a Niello tent, a registration booth was setup at the gate to check in employees and their families. This welcome included friendly smiles and handing out some Niello swag. This was a great way to thank our employees for their valued support throughout the year, and a great opportunity for Niello employees to spend time with coworkers and their families outside the office. * Follow The Niello Company on Twitter @thinkniello, on Facebook at facebook.com/theniellocompany. And don’t forget to follow the California State Fair @statefairca. For the second year in a row, The Niello Company has been recognized by Automotive News in their annual look at the Best Dealerships To Work For in North America. “The recognition begins with this list of the top 100 places to work – a summary that honors new-car dealerships in the United States and Canada that have excelled in creating a high-quality work environment.” – Jason Stien, Automotive News Publisher. Out of over 22,000 dealerships in the nation, and out of only eight chosen to represent California, The Niello Company was recognized as having four of the 100 best dealerships to work for in North America, including Niello Audi, under the leadership of Matt Phelan, Niello BMW Elk Grove, under the leadership of Matt Ryan, Land Rover Rocklin, under the leadership of Eric Niello, and Niello Porsche, under the leadership of Don Faerber. On October 17th, 2013, Automotive News will celebrate the 2013 Best Dealerships to Work For program to recognize each of the 100 best dealerships, and to announce the top ten. Managed by the Best Companies Group, the survey and recognition program was established to find and recognize the best employers in the automotive dealership industry. The Niello Company is proud to have four of its dealerships in this program for two years running. A special congratulation is in order for Land Rover Rocklin and Niello Porsche. This is the second year for both dealerships making it onto the list. Last year, in the inaugural event, ten dealerships were chosen to represent California, with The Niello Company having four dealerships in the top 100, including Niello Volkswagen, Land Rover / Jaguar Sacramento, and the aforementioned Land Rover Rocklin and Niello Porsche. Out of this list of 100, the top ten dealerships in North America were revealed in an awards ceremony in Chicago in October 2012. The #8 spot was held by none other than Niello Porsche, marking Niello Porsche as the top Porsche dealership in the country. Last year, Rick Niello was asked to speak about practices and policies that helped make The Niello Company one of the great places to work, as well as participate on a panel discussing such work ethic. The Niello Company philosophy positively impacts the community through employees and customers alike. Upholding such values is the reason why The Niello Company is such a great place to work, and likewise a great place to buy a car, and the reason many of its dealerships continue to rank among the top 100 in North America. * Follow Automotive News on Twitter @Automotive_News or Best Companies Group @BestCompaniesGP. Don’t forget to follow our dealerships on Facebook: Niello Audi, Niello BMW Elk Grove, Land Rover Rocklin, and Niello Porsche. FIAT USA has named The Niello Company its Sacramento dealer. Soon you will see this popular Italian make alongside our Maserati lineup at the 2030 Fulton Avenue location, directly between Niello BMW Sacramento and Jaguar / Land Rover Sacramento. Niello Italian Imports, Inc. was recently established to give Sacramento a new home for the various Italian brands represented by The Niello Company, with future plans allowing for Alfa Romeo. To accommodate these exciting changes, the existing 2030 Fulton Avenue building will go through a complete interior and exterior remodel. The existing Maserati showroom will be expanded, and split down the center, with the ever-impressive lineup of Maserati vehicles on one side and the sporty FIAT lineup on the other. A new service drive will be added to the building, as well as an expansion of the service bay, to provide customers with the award-winning service that has come to be expected at Niello dealerships. Remodel construction will begin soon, but in the meantime, feel free to visit the 2030 Fulton Avenue location for all your FIAT needs. Sales hours are Monday through Friday, 9:00 am to 7:00 pm, Saturday 9:00 am to 6:00 pm, and Sunday 10:00 am to 6:00 pm. Service hours are Monday through Friday 7:30 am to 6:00 pm, closed Saturday and Sunday. Parts hours are Monday through Friday 7:30 am to 6:00 pm, Saturday 9:00 am to 3:00 pm, closed Sunday. Call toll-free at 888.275.FIAT (3248), locally at 916.977.FIAT (3248), or visit online at fiat.niello.com. The addition of FIAT continues The Niello Company’s legacy of specializing in selling popular, highly sought-after automobiles. For FIAT, The Niello Company made the perfect partner for the Sacramento market because of both companies’ shared passions to exceed expectations in customer service, as exemplified by a few of The Niello Company’s core values: we hold high expectations, and we enthusiastically value our customer. “We are in the business of providing an experience matched with unsurpassed service and quality in selling high-demand autos to our customers. Niello FIAT will provide the same exceptional customer experience found throughout The Niello Company.” – Rick Niello, President. 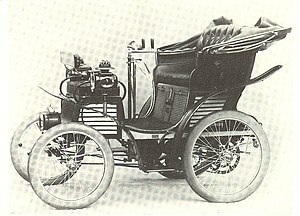 Did you know FIAT was founded in 1899? Check out this 3.5 HP beauty from Turin Italy, the model that started it all. And in case you are wondering about the initials, FIAT stands for Fabbrica Italiana Automobili Tornio, which was their first produced automobile, built 22 years before The Niello Company inception. Today, FIAT is known for offering compact sport cars with an Italian flare, including models for everyone from the average driver to the sports car enthusiast, and everything in between. The FIAT brand identifies with sleek design, impressive performance and unmatched personality. FIAT is a vibrant and successful franchise whose models have won numerous awards for safety, consumer satisfaction and overall performance. These are exciting times for The Niello Company, and exciting times for the Sacramento region! * Follow FIAT on Twitter @FIATUSA, on Facebook at facebook.com/fiatusa, or check out FIAT’s line of videos on YouTube.